Plus Size Yoga is daunting. You think it is the preserve of thin bodies, the lithe, the flexible. But yoga is so much more than size. Really, yoga is for every body. Look at #yogainspiration on Instagram and you’re greeted by a plethora of slender bodies contorted into shapes that simply don’t look human. Plus size yoga scarcely features and I’m unable to relate to the bodies or the skill-level on show. It is off-putting to say the very least. Why would I want to join a yoga class when I won’t keep up? Well, like most things on Instagram, the images shown are a highlight real. Or a mythology. They’re the elite – trained dancers who have spent a lifetime teaching their muscles to flex and bend into shapes that us mere mortals will likely never attain. And that is fine, we are human and some of the poses we see we will never truly attain. At least, not without injury. Here’s a fact: my yoga instructor can’t touch her toes. And there we have one myth disrupted. You don’t need to be flexible to practice yoga! If you were to attend the majority of yoga classes as a beginner, you won’t feel so out of place. Inflexible. Ageing. Plus-size. Giggling. No balance. Farting. These are all things I’ve seen in my yoga classes – and no-one ever bats an eye lid. It is all natural. And I have spoke, in depth, about the benefits of yoga for the mind and the body. You can read all about that here. I began practicing restorative yoga several years ago, following a spinal surgery that left me reliant on walking aids. Restorative yoga is a slow and relaxing practice that lets you focus on a stretch or subtle movement. I practiced this for several years whilst learning to move and trust my body again. This practice taught me control and gave me a level of flexibility that I wasn’t even aware of. Fast forward several years and I began to practice Hatha yoga. This is a traditional yoga practice that involves linking a series of poses (or asanas together) inline with your breathing. I then moved onto Vinyasa Yoga, which is a more vigorous form of flowing – tying together the different poses and keeping my body moving in line with my breath. This gets my heart rate up but keeps my breathing controlled. I’ve also recently started Trapeze Yoga. For this practice, I rely on a trapeze for support. I spend a lot of my time upside down (or inverted) and can really focus on my strength and flexibility. I still practice all the different types of yoga, linking their practice into my daily routine. Not to sound to hippyish – but the practice grounds and centres me. I stand a little bit taller for having performed a flow sequence before breakfast. And I try to incorporate basic yoga stretches into everything I do; whether that be making a cup of tea and folding to touch my toes, or practicing my dancer pose whilst walking the dog. Yoga has very much become a way of life for me, and I hope, that you will love it as much as I do. I strongly urge you to begin in a supportive environment, supervised by a trained yoga professional. Hatha or Restorative Yoga classes would be the best place to start but make sure they are beginners level. Speak to the yoga instructor in advance. Explain your ability and be sure to address and concerns you have, whether that be you’re worried about your balance or that you’ve got a knee injury that you’re concerned about. Ensure that the class includes props (these are addressed later in the article). You don’t want to spend money on yoga blocks, straps, mats, blankets, etc unless you’re invested to practicing regular and on your own. Watch a class or partake in a trial class to see if it suits your wants and your abilities. A good instructor should be able to offer variations that compensate for your size and ability. For instance, placing a blanket under your knees cushions them and take away the impact of your weight. Or widening your legs slightly in forward bend will mean you can get a deeper stretch. If you don’t want to, or a prevented from attending a class there are so many amazing on-line yoga tutorials that will talk you through. Most of yoga is about movement synchronised with breathing so definitely follow tutorials rather than simply trying to replicate poses found on instagram or pinterest. My favourite tutorials are by Yoga with Adrienne. They are the first I suggest when people ask me who to follow. She is unpretentious in her practice, frequently admitting to tight shoulders or hamstrings. She talks through variations in her poses and encourages participants to go at their own pace. She also has an adorable dog that features in her practice – and we all know I’m a sucker for a cute dog. Dana Falsetti – this plus size yoga instructor others beginner and intermediate videos online for a pay-what-you-want monthly subscription. Her instagram is also pretty spectacular. Yoga by Candace – with a variety of abilities sign posted in her videos, her tutorials are easy to follow. Her 18 minute hip opening sequence is one of my favourites. Donna Noble – I followed her 30 day yoga challenge some years ago. Practicing the flow she set daily until I felt confident and at ease with the flow. Its a great place to begin. So have I convinced you to give yoga a go? Just remember to take things at your own pace. Take a break when needed and don’t feel that you need to make all the poses you’re told to do. Yoga is, ultimately, a private and personal practice. Do things in your own time, to your own breath, your own ability, and your own needs. And follow the golden rule – listen and respect your body. And have any questions? Feel free to get in touch. I’m always happy to help! 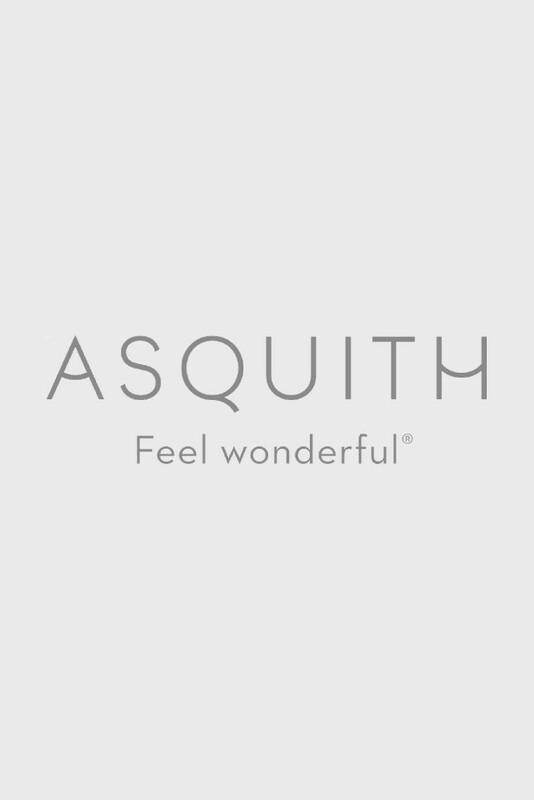 The clothes pictured in this post have all been gifted by Asquith London. All thoughts and opinions expressed remain my own. Love this guide! As a bigger girl myself I have often struggled with Yoga. Great post, and great pics. Not ever done Yoga before could do with giving it ago sometime as so many people say it is good for you and your mind too. I do love yoga. I practice at home as much as I can. You have such a pretty backdrop for your practice. I practice yoga weekly and have been doing so for many years, I am not skinny per se and find some moves quite hard but still do them.